Wanting to work as a funeral director might be considered an unusual choice for a young mother, but for Kerry Turner, it was exactly what she’d always wanted. After completing her A Levels and working in a care home for the elderly for a few years, Kerry took a year out to have her daughter. During her maternity break, Kerry started to think again about a career as a funeral director and looked into gaining an apprenticeship. Kerry explained that she had always been interested in the work of a funeral director and told them a little more about her background working in care homes. After a couple of interviews with the owners, she was offered a part time trainee position. Kerry was quick to point out that there is no average day in the life of a funeral director, but that part of the appeal is that no two days are the same. With much of her day spent talking to people on the telephone or face to face at the funeral director’s office, Kerry commented that it can be hard to switch off when she gets home. You can see via the gov.uk link here, if there are any apprenticeships in this field. Also, you may wish to write to your local funeral directors directly to ask whether they might be looking for an apprentice. 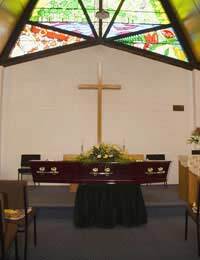 Really looking forward find an funeral director apprenticeship.i find it be running rewarding and satisfying what the family received a good send of. As recently my own grandfather passed and was pleased to see the effort and are out towards his arrangements.Would be really grateful for any advice.I left school with maths and English and want to do something really worthwhile and I feel would be good at his role.Please do contact meKind regardsTegan. Please see gov.uk link here, or contact your local funeral directors directly to see if they are willing to take on an apprentice. I hope this helps. I am currently an embalming academy student with the BIE wanting to become an embalmer but also want to become a funeral director to, it is so hard to get into trying to find a traineeship, like yourself ive wanted to do this for around 23 years and eventually took the plunge although hard I'm thoroughly enjoying it. I hope like yourself I too get a traineeship in order to do my training in directing as well as embalming.